Whether you do a project connected to gardening, lawn care, making a new patio or a new tool shed, there are many aspects of such home improvement projects that you may benefit from. But one project stands above all as an absolute necessity and that is having a strong roof over your head. Before you can congratulate yourself on a job well done, you will need to do quite a bit to make the installation of asphalt shingles a reality. 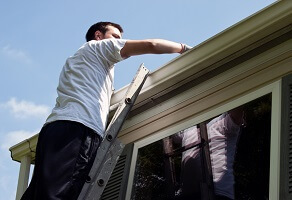 Once you have the right permit, you will need to work on stripping the floor clean and nailing the drip edge flashing across the eaves of your roof. Even the best of shingles will never last forever, as the right atmospheric conditions can eventually wear them down. Make sure you have a solid, waterproof underlayment to combat these in case the shingles get damaged and you will have far less to worry about in the long run. 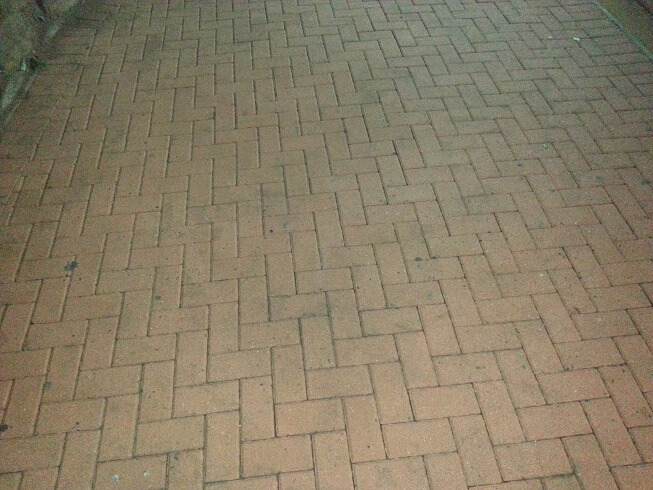 One thing you need to ensure is that you have good asphalt saturated felt underlayment as well. The layers will need to overlap by at least two inches to work well. Follow this up by nailing a drip edge on the roof rakes and the top of your underlayment. Just like you need to do with flashing, you should make sure the pieces are overlapping all over the roof. The felt underlayment will help protect against storms and rains. Find the center of your roof at its eave and top and then put a vertical chalk line on it. You can use it to focus on your shingling, working at the left and right at the rakes themselves. Check the manufacturer’s instructions on your package and follow them to get it all done the right way. The first few rows of you shingles will need a line with cut tabs. You can apply them on the eave with some adhesive strip. You should make sure you have that row overhanging a little and beyond its drip edge. This is a necessary step toward the rest of the roofing in need of doing. Once you finish that, you will need to nail the shingles on top of the starter course. Use four nails for each of your shingles or as the package instructions say you need to work, depending on the strength of the winds and atmospheric conditions in your area. When you’re finally done, chances are you will have made a mess below the roofs with some of the old underlayment being cleaned or the roof being washed or cleaned after the project is done. When all is said and done however, you will need to look for professional help if you’ve never done this before. It is better to be safe than sorry when it comes to roofing, since it happens to be work that is both time-consuming and dangerous if you’ve never done it before. Trusting professionals with the task will give you guaranteed results you can count on, so consider this before moving on the project alone. 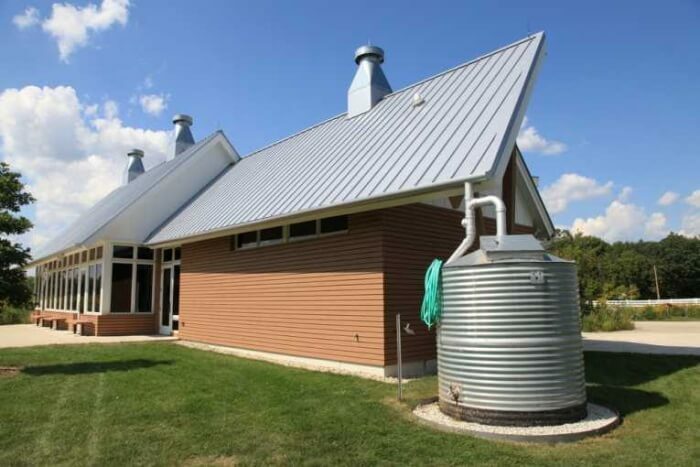 Rainwater harvesting has become quite popular in areas that receive little rainfall during the years. 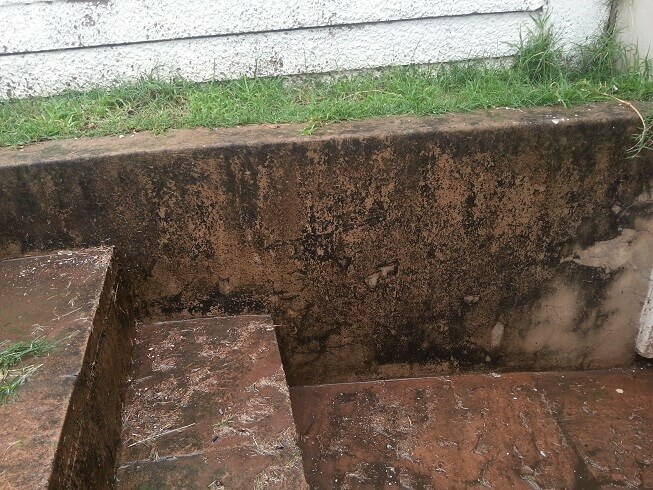 You can collect water run off from your roof which fills up your water harvesting storage tanks.